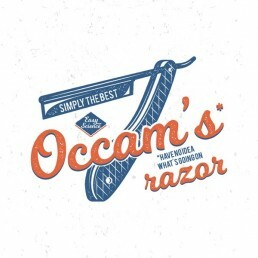 Occam Digital isn’t another one of those companies that began in a garage or back garden shed . . . it began on a flight from Bend Oregon to the UK in 2012. After spending around 30 years working across three continents and immersing in different creative cultures, our founder Robin was done roaming and decided to come home, kind of. No nonsense – we don’t make unrealistic promises. We don’t push any social media campaign or SEO ranking campaign to you unnecessarily. Transparent – you know where your money goes and how many phone calls or conversion you get as a result. What’s the goal of a marketing campaign? A simple question with a simple answer – to generate new business. It’s not about creating fancy award-winning campaigns that no one remembers after a month. It’s an objective we don’t lose sight of. We start every engagement from the ground up, looking at your business and how it works first. Our approach is holistic as we look at every aspect of your marketing campaign and how they can work in unison and be aligned with your company’s wider business objectives. Our pricing is entirely based on what you need, not what we need to earn. You can start with a small campaign that is constructive for your business, and expand your campaign organically. As we can show you the work and the results, you can be certain that we won’t sell you something just to make money. Clarity is key. Given that digital marketing is often misinterpreted as ‘Google top position’ or ‘write blog posts’, we are happy to spend time explaining, but most importantly, we focus on the ‘why’, ‘what’ and ‘how’ – Why do you need to spend money in the digital realm? What will it get you? And how do you measure it? Ask us questions, and we are happy to answer. Because with us, you will have a digital campaign that you understand and value. There are many untruths in the digital marketing world, particularly the industry’s equivalent of ‘get-rich-quick schemes’, spanning from fast-tracks to top Google positions, achieving high levels of visibility in social media to producing many blogs a month, among others. We’d like to put a stop to that, because we are only keen to help clients build the right level of expectation for their business. For Occam, this means a strategy centred on creating a fertile environment for engagement with a client’s target audience. Our one simple belief is that you should stop chasing after search engines. If you create great content around your intended audience’s needs and market it effectively, the people and the search engines you want attention from will come to you. So, why not let Occam grow your grass?